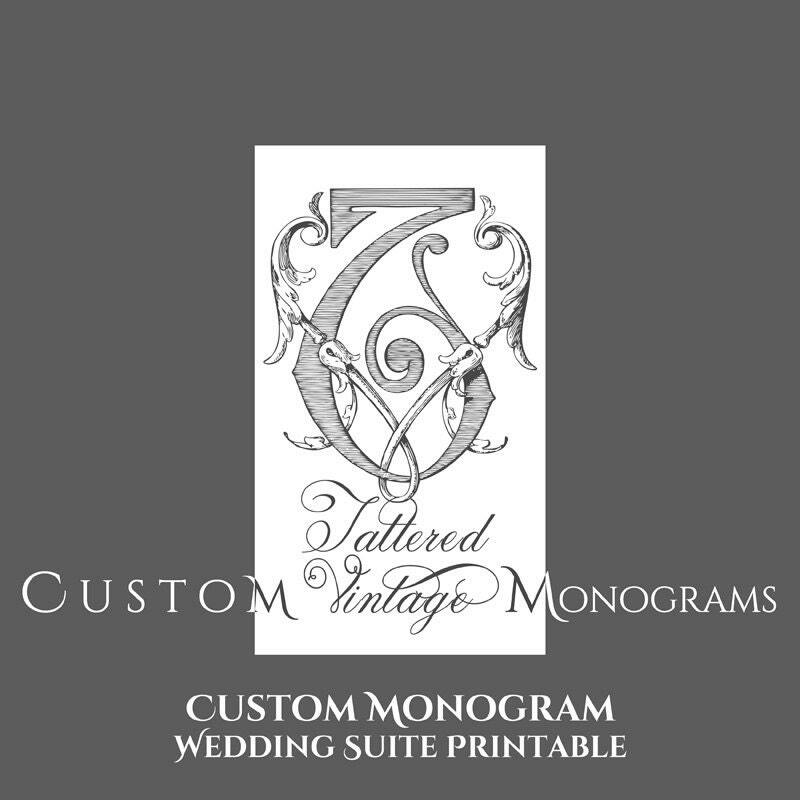 Custom Wedding Suite Design includes one custom monogram or crest and up to 5 additional derivative printable designs i.e. At time of order in a note to seller include design preferences (sizes, colors, theme, fonts etc) and ALL your wording. I will send digital design options with-in 5 business days. Price includes up to 3 (three) rounds of revisions, further design work will have additional cost. I can't believe how beautiful the end design for my parents' anniversary party ended up being. We used the design for glasses that we gave out as favors, and everyone remarked on how lovely the design was. Thank you so much for your great work and patience!! !